So it appears Honda is pondering a sub-NSX mid-engined sports car. That should be a good thing, right? The Honda NSX is too special for its own boots. Priced at $420k in Australia (and that’s only if you stick with non-metallic paint), Honda’s NSX redux squares off against some real exotica when it comes to a pricetag showdown. Couple that with an ultra-tight supply thanks to limited production capacity at Honda’s NSX production line in Marysville Ohio, and the second-gen NSX is destined for exclusivity (or is that obscurity?). The NSX’s halo effect won’t be strong unless people see enough NSXs burbling down the street. Its glossy lustre won’t rub off on Honda’s full range of adequate-but-unexciting passenger cars otherwise. Honda clearly needs a more accessible performance car than the NSX, but is the rumoured ZSX gonna be it? It’s not even confirmed for a production future, but even if it were I’m not so sure it’d be the everyman’s sportscar that Honda needs to solve its image problem. If you believe the grapevine, the “ZSX” will transplant the 2.0-litre turbocharged inline four of the Honda Civic Type R into a mid-engined chassis with electric assistance motors on the front and rear axle: just like its bigger bro, the NSX. But all of that tech suggests the ZSX – if it does eventuate – will be a bit of a pricey machine. Hybrid hardware doesn’t come cheap, and a six-figure pricetag here in Australia would virtually be guaranteed. I don’t necessarily baulk at the idea of another six-figure Honda though; after all, if the car is good enough then such a lofty price would be justified, Honda badge or not. But is Honda doing the right thing by chasing fatter wallets with its next breed of performance cars? Has the company that built its reputation on the back of entertaining and accessible twin-cam hatchbacks decided to turn its back on less well-heeled enthusiasts? Well, no. Not yet anyway. The Civic Type R is being renewed for another generation and in Japan you can already buy a mid-engined Honda that’s more affordable than the NSX – the pint-sized, 47kW Honda S660 Roadster. 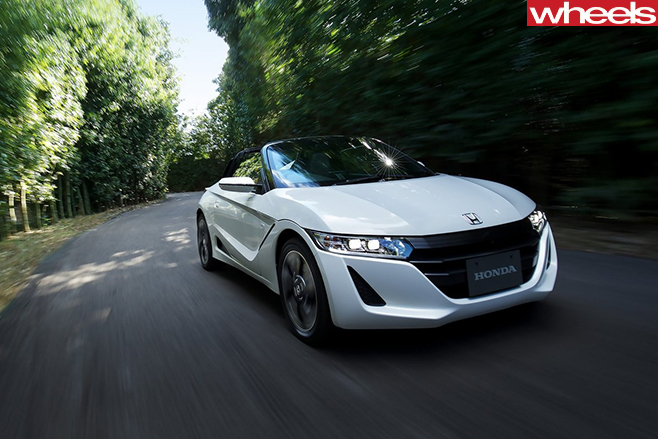 The next-gen Civic Type R is coming here next year, but the S660 is sadly destined to be a Japan-only thing. So in what other ways can Honda inject some excitement into its showrooms – preferably without resorting to another expensive mid-engined AWD hybrid? 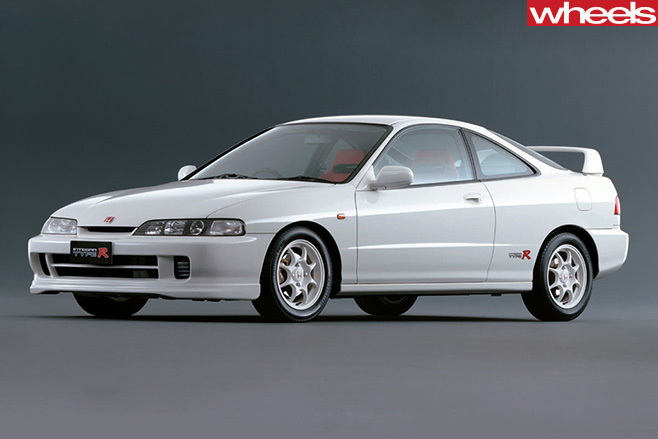 A Jazz Type R makes the most sense. Australians love a hot hatch, and a smaller, cheaper companion to the Civic Type R would bring the price of entry to Honda’s sports range in the right direction: down. It wouldn’t be the first time a bottom-feeder Honda hatch has been fettled for more speed either. Back in the early 1980s Honda juiced up the City hatchback (the precursor to the Jazz) by throwing a turbocharger on its 1.2-litre four-pot. Unimaginatively christened the Honda City Turbo, it wasn’t amazingly quick, but it was a riot to drive – I should know, I used to own one. What about a Civic Type R sedan? It seems like a natural thing to do, given the new-gen Civic hatch shares its architecture with the Civic sedan. If the performance numbers are right, it could provide the Subaru WRX with some worthy competition. While we’re at it, why not apply some of that turbo Honda magic to some less obvious candidates? Like, say, the HR-V? Nissan equips its funky Juke micro-SUV with a 140kW/172Nm turbo motor, so why shouldn’t Honda shoehorn the Civic Sedan’s 127kW/220Nm 1.5 litre turbo into its popular HR-V offering? A successor to the much-loved S2000 would be great too, but a front-engined, rear-drive sportscar requires the kind of platform architecture that Honda simply doesn’t have. 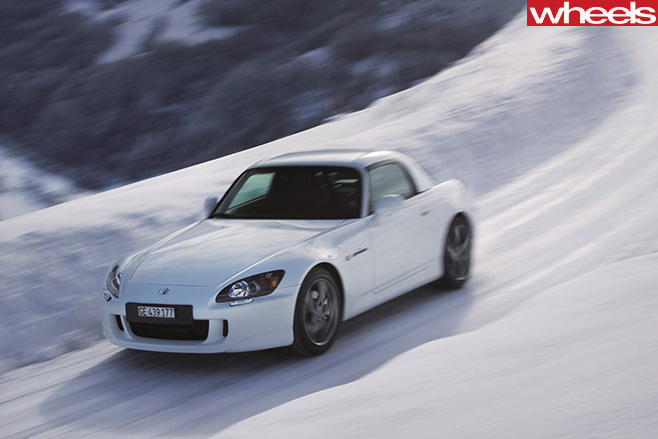 Unless it partners up with a manufacturer that does (like Alfa did with Mazda for its 124 Spider, or Toyota did with Subaru for the 86), a new S2000 simply ain’t gonna happen. But there are plenty options on the table. Not all of them are sensible, some would probably be ludicrously unprofitable, but to me at least the idea of more sporty Hondas at a more affordable price point appeals more than the idea of the so-called ZSX. When it comes to performance cars, Honda is at a crossroads. But rather than a mere fork in the road, it’s facing a five-way intersection with many potential (and equally-enticing) performance pathways ahead of it. Let’s hope Honda takes a more adventurous route than the one it’s been trundling down for the past decade.